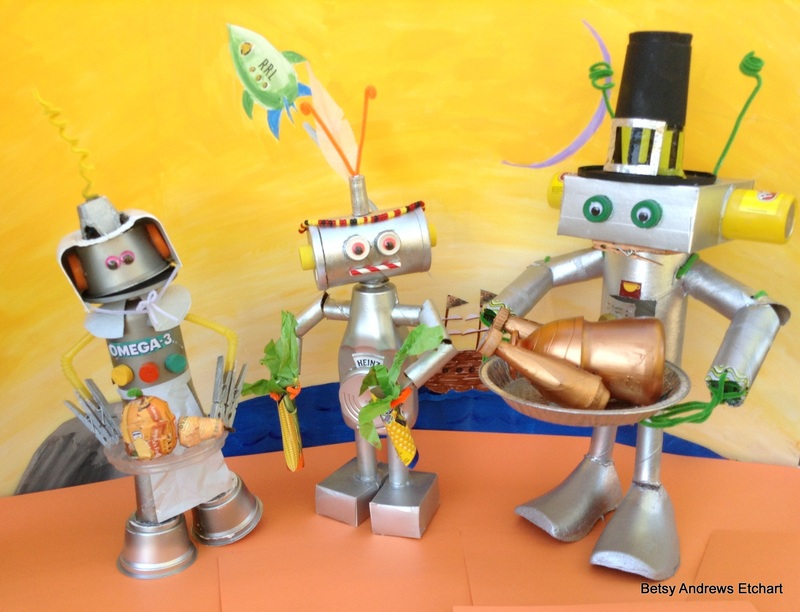 This entry was posted in art, cooking, crafts, food, humor, inventions, photography and tagged art, children, crafts, diy, do-it-yourself, earth-friendly, first Thanksgiving, holidays, pageants, Parenting, photography, recycle robots, recycled, reused, robots, sculpture, Thanksgiving, upcycled by Betsy Andrews Etchart. Bookmark the permalink. My recycling pile has NEVER looked so good! I think you could have a cartoon and or movie featuring these guys :0), they are fabulous!!! Amazingly wonderful Can’t wait to have some living at our house! You’ll be busy when you’re here at Christmas!